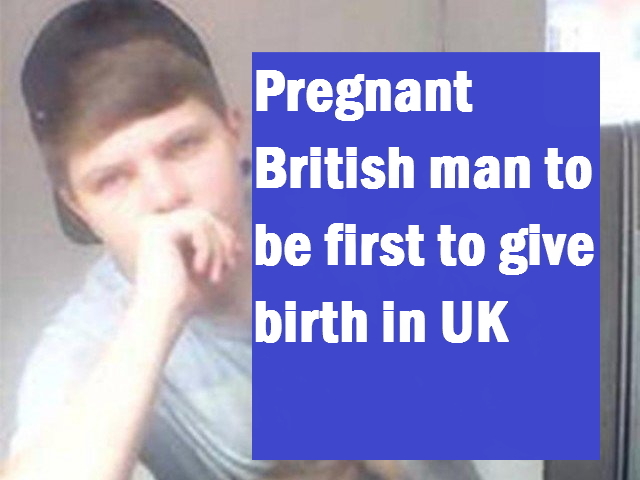 A 20-year-old transgender man will be the first male in the UK to give birth. Hayden Cross was born a girl and was going through hormone treatment for his transition; but unable to get assistance from the NHS to freeze his eggs prior to his full transition, he decided to put the process on hold and find a sperm donor to have a baby. The 20-year-old supermarket worker used Facebook to find a sperm donor, according to the Sun. The Facebook page Hayden used has now been shut down but he said he had “no choice” because he could not afford the £4,000 procedure of freezing his eggs before completing his transition. Despite ‘backtracking’ on his transition, Hayden told the Sun he felt that it would have made things more difficult if he had waited. “I faced the prospect of not becoming the man I am supposed to be, physically, or a dad. So I didn’t feel like I had any choice but to have a baby now then get back to transitioning,” Hayden explained. “It makes me angry that I’ve been put through this. Carrying a baby is meant to be a happy time, but in my body it feels wrong,” Hayden told The Sun. Hayden will not be the first man in the world to give birth. In June, a couple from Ecuador, both of whom are transgender, gave birth to a child.